When a student begins their language immersion education in pre-school, 8th grade graduation may seem very far away. The first days of active learning through language and becoming bilingual turn into years where students are challenged to give their very best in two or more languages. 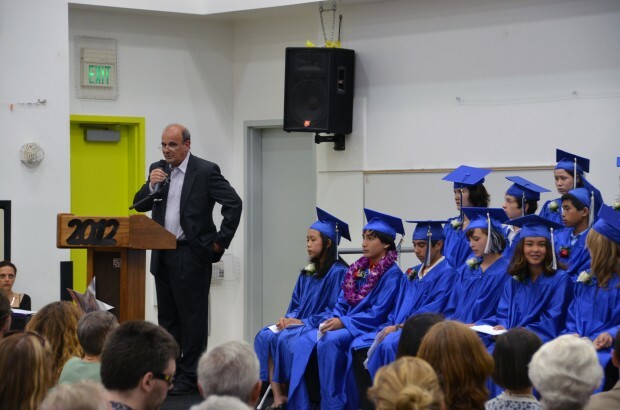 It was evident that for the 2012 8th grade graduates of ISTP, not only were they happy to have been challenged by ISTP's rigorous bilingual education, but they had also made connections with their classmates that will impact the rest of their lives. In his address to the audience, Head of School Philippe Dietz discussed the importance of connections. Necessary 21st century skills include the ability to successfully collaborate and connect with others. Our world revolves around communication, and he believes that an ISTP education not only prepares students for that, but gives them the innate sense of international consciousness. In an increasingly interconnected world, this trait will serve as an asset -- a catapult for future success. The graduates agreed that their ISTP education has helped shape the young adults they have become. 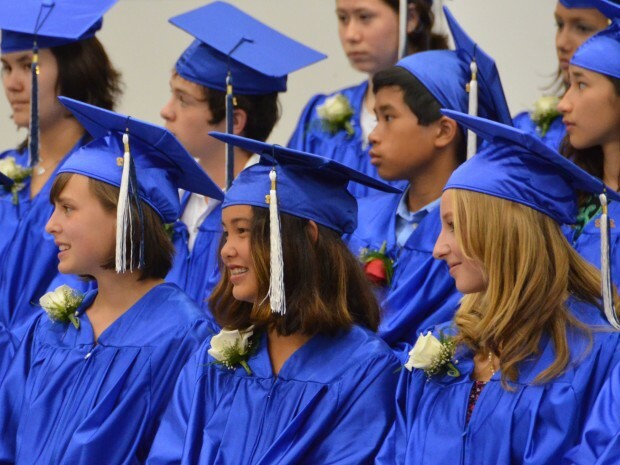 8th grade graduate, Linh-An H. said in her speech, "after 10 years at ISTP, I have come to the conclusion that education is a right that every child should have, but an education at ISTP is a true privilege." During the student speeches, a frequently mentioned highlight was the memorable cultural exchange trips to France, China, and even Costa Rica. The domestic overnight trips were also memorable, and provided students with opportunities to experience responsibility, autonomy, critical thinking, and active, engaged learning in a different environment. The graduates also made sure to mention their gratitude towards their teachers. Raphael S. said in his speech, "Tout d’abord,j’aimerais remercier tous mes professeurs qui ont rendu possible ce moment. Merci pour votre patience et pour les lettres de recommandation pour les lycées. Vous êtes parvenus à rendre amusant tout le matériel qu’on a appris pendant ces neufs années et cela m’a vraiment motivé à travailler comme une abeille constamment—même après les lettres d’acceptation dans les lycées. Beaucoup des moments les plus mémorables pendant les neuf dernières années ont eu lieu en classe. Merci à tous les professeurs qui m’ont enseigné à ISTP." In her speech, Elizabeth M. also said a few words to thank the following, "first, I would like to thank 霍老师。我感到 很幸运有机会花这么多时间学习中文语言、历史和地理。我特别想要感谢霍老师，在你教 导下，我拥有了一项一般美国人没有的才能。 Second, Mr. Z, thanks to you I have an understanding of literary themes along with an extensive repertoire of unique jokes. Mrs. Publicover: thank you for your patience and innovative teaching methods; you have inspired my interest in mathematics. Just as I remember my kindergarten graduation, I know I will remember this graduation for years to come." Each student's speech was thoughtful and articulately given in two or more languages. 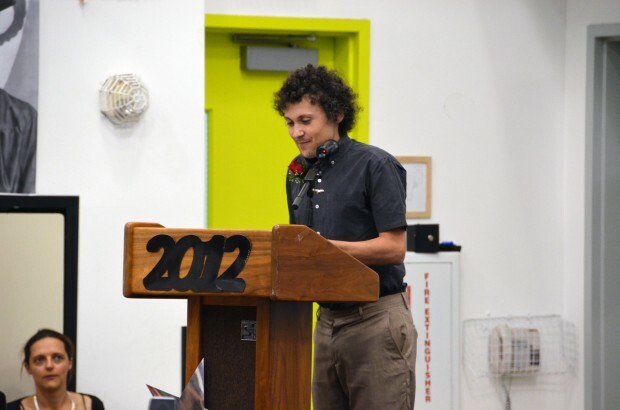 The ceremony included faculty addresses from Chinese teacher Jin Huo, and French History and Geography Teacher, Olivier Berton. Talented graduates Linh-An H. (violin), Mimi L. (piano) & Chloé M. (vocals), and Thibault I., Aodhan O-B., Seena S., Amit T., & Samuel S. performed musical interludes between addresses and student speeches. ISTP congratulates our 37 graduates on this new chapter in their lives and wishes everyone well on their continued academic journey!